Fatigue is the sixth of the Dirty Dozen Human Factors. Fatigue has traditionally received a lot of attention for flight crew due to the dramatic effects of the different types of fatigue have on pilot and cabin crew performance. Have a harder time managing stress. Here is the five-part process to monitor fatigue in your aviation SMS program. Acquiring fatigue data, such as through fatigue reports, is the cornerstone of monitoring fatigue in your operational environment. However, employees may be reluctant to report fatigue issues. A non-punitive reporting policy that reinforces the fact that reporting oneself for fatigue reports is encouraged. These policies should be regularly communicated to employees. 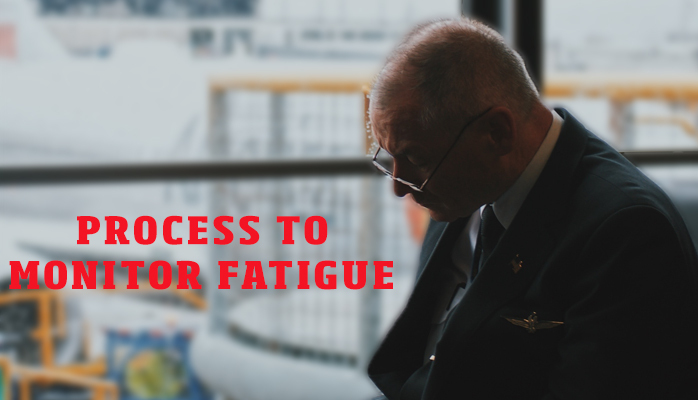 Acquiring fatigue data is the cornerstone of your process to monitor fatigue in your aviation SMS program. This simply involves having a custom report for fatigue as a part of your hazard reporting process. In manual hazard reporting processes, such as with paper reports, you should have a physical copy of a special fatigue report. 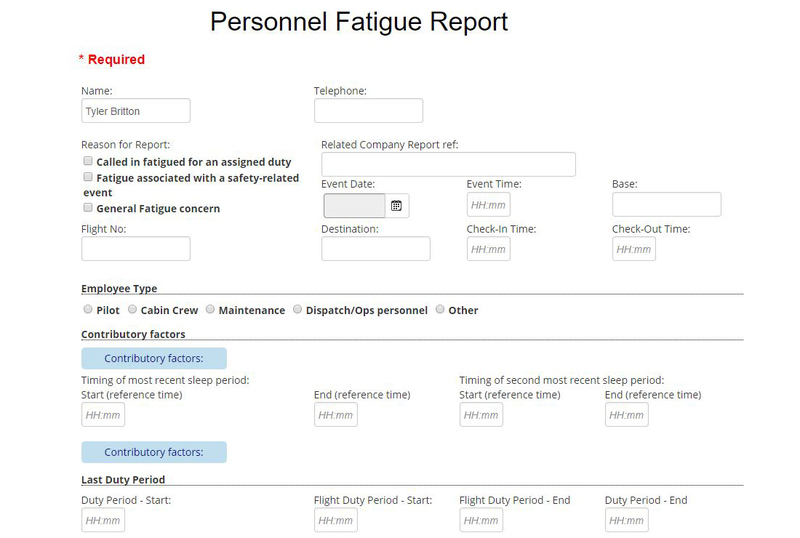 In aviation SMS software, you should have a special fatigue report as an option when submitting safety issues. Other basic details (flight number, actions taken, etc.). Including all of this information allows for complex data mining in the future, and provides management with all the data needed to manage the safety issues. Mild to moderate fatigue symptoms. 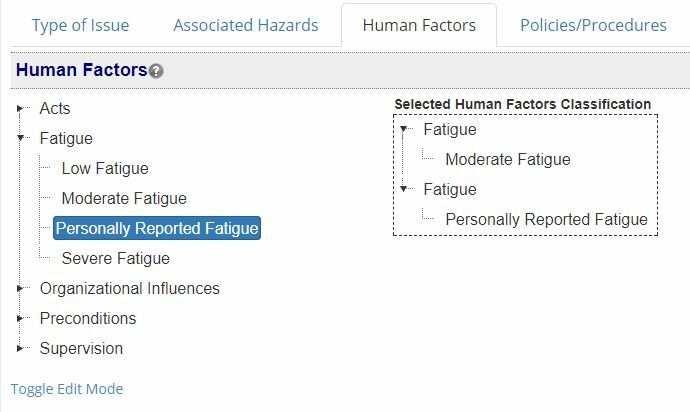 You should include your fatigue classifications in Human Factors, Root Causes, or Type of Issue, depending on which classifications types you are using. Show numbers for each fatigue classification over time. Compare current time period to previous time periods. Ideally, you will see a consistent number of fatigue reports AFTER you implemented your fatigue risk controls. This indicates that people are reporting fatigue. Also, seeing a majority of classifications as “personally reported” and “low-moderate fatigue level” indicate that employees take fatigue seriously and are proactively taking steps to mitigate it in the operational environment. Policy regarding duty times of flight crew. As you monitor your fatigue classifications, you may need to update or create additional risk controls. You know controls are working when you have consistent number of fatigue reports that are reported proactively.